Commercial Cookware is built for punishment! 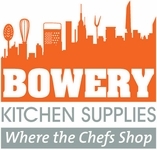 Our cookware comes in a variety of materials and manufacturers. The following sections are arranged by manufacurer then styles and materials.